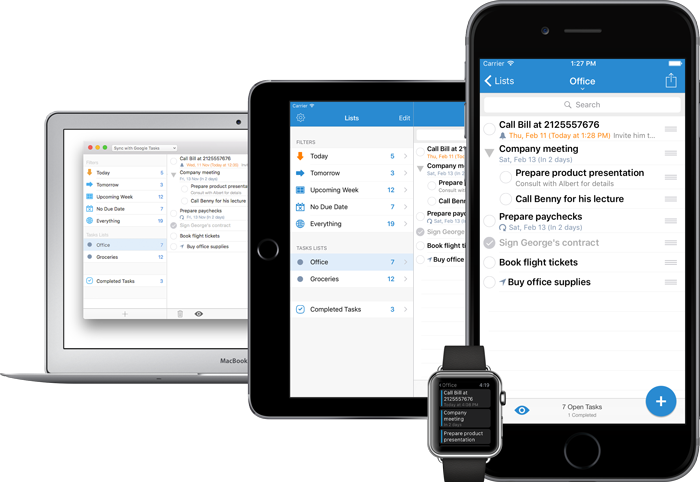 Millions of people rely on gTasks to get things done. Once you start organizing your life with gTasks you’ll wonder how you ever managed. At home. At school. At work. Online. Offline. And across your iPhone, iPad, Mac, Apple Watch and your Google account. 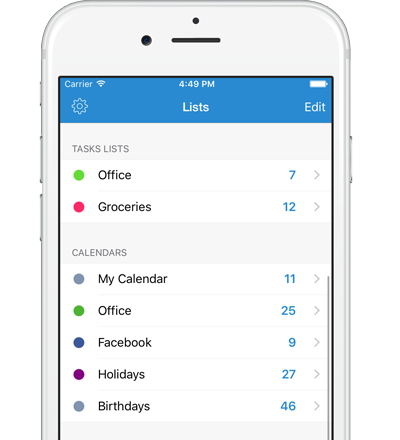 gTasks keeps your lists and tasks in perfect sync across all your devices. Your important data is always backed up in the cloud utilizing Google Tasks Sync. Achieve more by breaking big tasks into smaller sub-tasks (multi-level). Break big projects into small tasks. Can also work great for grocery lists. Set Due Dates so that no no deadline is missed, add Notes to make sure all your ideas are captured and focus on what’s important using gTasks priority levels. Customize your repeating tasks, for example, every 2nd weekend or first Tuesday of the month. Powerful enough to manage projects, simple enough for shopping lists, bucket lists, movies to watch and places to go. 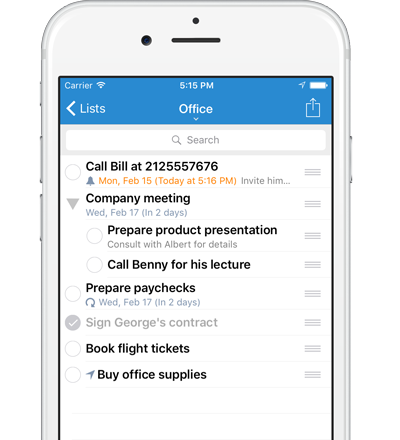 Integrate your tasks with your calendar events, holidays, birthdays and more. 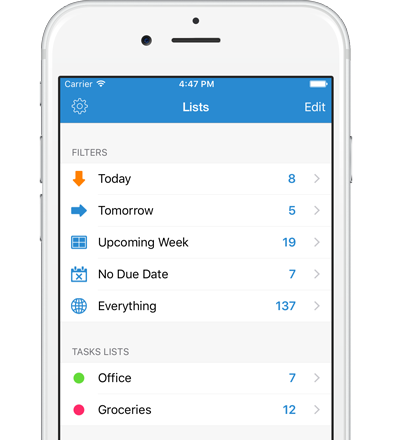 Sort your lists and tasks as usual on iOS and with drag & drop on your Mac. Hide finished tasks, so that you can focus on the open ones. Set reminders so you’ll never forget important tasks. Each reminder allows you to Complete or Snooze directly from the notification. Set location based reminders and get reminded at the right place, e.g. “Remind me to take out the trash when I get home”.